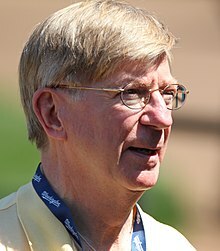 On his afternoon drive radio show on KHOW AM 630, host Dan Caplis unwrapped the widely circulated George Will opinion piece from earlier in the week, which concluded with Will’s belief that national Republican candidates should bypass Colorado in the future – asserting that it is a blue state where the “demographics is destiny” electoral theory has taken full hold. In Will’s article, written for the Washington Post, the “Never Trump” conservative theorized that the way Republicans were demolished in the Denver suburbs was a foreshadowing of things to come for the party, given the changing demographics and political tastes of people living in the suburbs. The columnist also appeared on Ross Kaminsky’s morning radio show on Friday, and compared Colorado’s suburban metropolis that stretched from Pueblo to Greeley to Texas, which he described as five giant metropolitan areas. Will claimed that the suburban voting patterns are similar, as suburban Rs were wiped out up and down the ballot in Texas as well – a trend that could spell disaster for Republicans nationally. Caplis cleverly mentioned a couple interesting holes in Will’s reasoning, and these are both pretty much grounded in the fact that Will is trying to paint Colorado with a broad brush from the distant land of Washington, D.C.
First off, Will failed to recognize the more than $20 million that Polis was able to personally invest in his campaign, and the impact that it had – from walkers and paid door knockers to an extensive paid media campaign. He also pointed out that Will is an extreme “Never Trump” Republican, so far gone that he has an interest in seeing this president fail, amazingly. Caplis viewed the entire Will article through the very reasonable lens of the author’s bias, and the fact that if he can show a weakened Republican Party and pin that on President Trump, that is a win in Will’s eyes. Don’t get us wrong here – this election was a disaster, both nationally and especially in Colorado, and there is not much of a silver lining to what happened, but we are sure not ready to write off Republican state wide candidates here – and neither should you. If the GOP: Party of Hate® continues as it has been, then GOPers won’t even be elected as dog catchers in Colorado.